This is the first line of defence against unhealthy water, installed at entry point to tank and purifying down to 50 microns (thickness of a human hair). 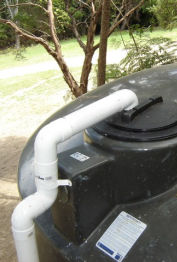 Filter water before it gets into tanks which reduces the amount of water tanks cleans needed. If you want a clean water tank then call us. To compliment your Raincatcher Intake Filter the Jumbo Housing option is installed with a Polyspun cartridge that purifies your water down to 1 micron. We also have water tank cleaning services. 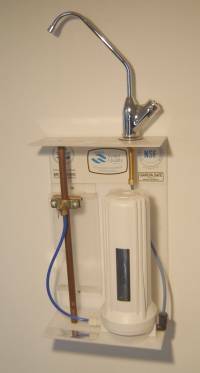 To complete the Healthy Water Solution, we recommend an under bench filter which further purifies but retains minerals essential to a healthy lifestyle and a Clean water tank. Click here to see our installation packages! If you live in the Greater Auckland area we can clean your tank for you. This process typically involves minimal water loss and can be carried out at any tank water level. 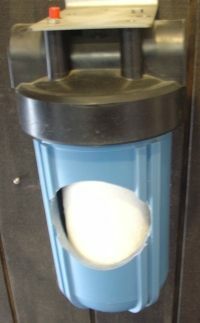 For a simple tank clean we have competitive pricing. Watch the video now to see our technicians at work.